With such numbers, the Apple Watch is now the number one watch in the world. 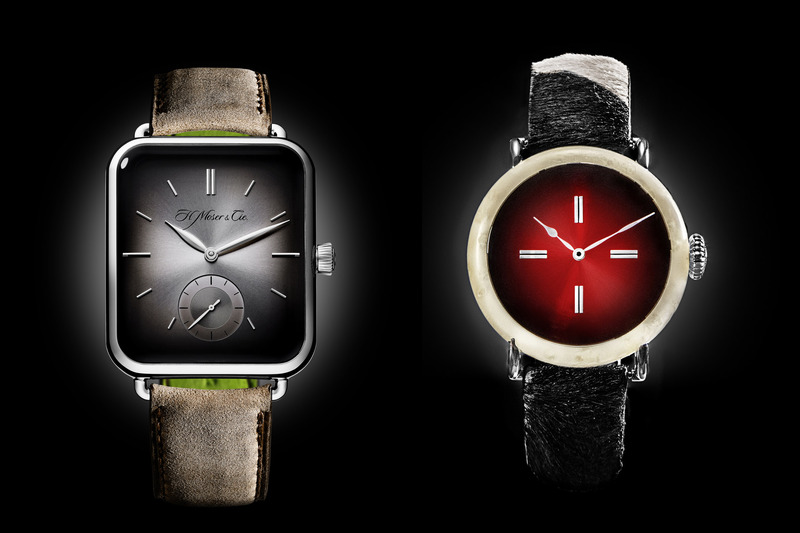 We already knew that the Apple Watch was becoming a heavyweight of the watchmaking industry. Back in 2016, during the annual “Key Note” press conference, Tim Cook claimed that Apple was second only to Rolex in worldwide sales. In September, Cook announced that Apple Watch has become the top-selling watch globally. 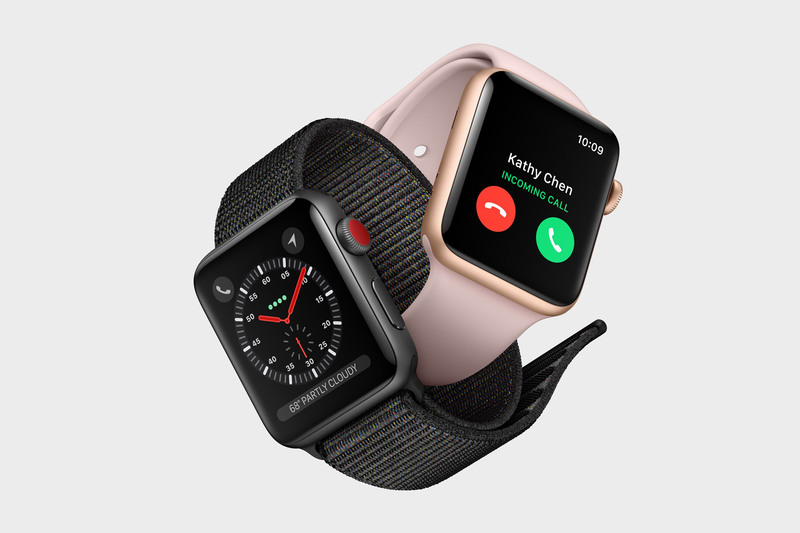 A few days ago came the final blow: Apple is on its way to sell more watches than the entire Swiss watch industry. Apple is a powerhouse. It is one of the most powerful companies in the world and, despite the fact that the Apple Watch is consistently playing second or third behind the Iphone or the Mac, it remains a massively produced item. 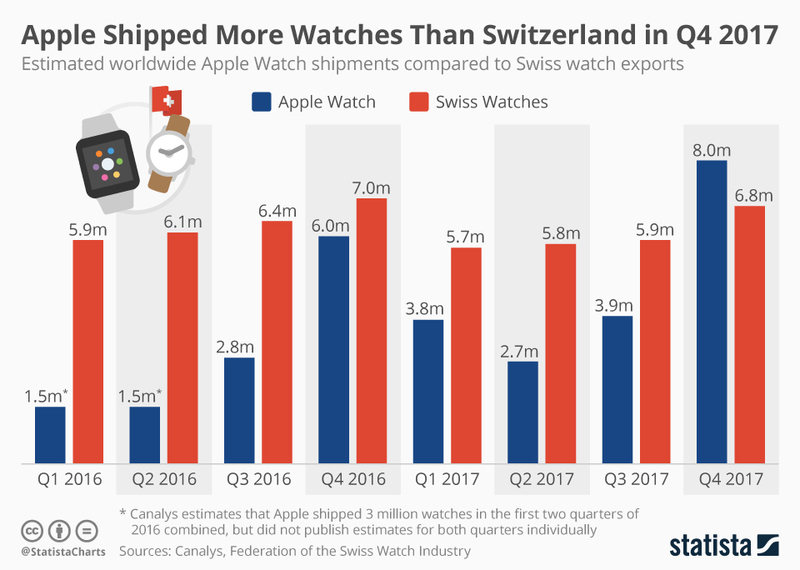 As an evidence, a recent chart shows that Apple shipped more watches than Switzerland in the fourth quarter 2017 – think more watches than Rolex, Swatch Group brands, Richemont Brands and more, reunited. According to estimates conducted by Canalys, the Apple Watch had its best quarter ever in Q4 2017. The release of the Apple Watch Series 3, which is now a fully autonomous device, certainly helped to drive sales up. Apple shipped 8 million watches between October and December, bringing its total for the year 2017 to more than 18 million units. Over the same period, the Swiss Watch industry shipped 6.8 million watches – according to published shipment counts from the Federation of the Swiss Watch Industry, which includes all Swiss-produced watch exports. On an annual basis, the Swiss watch industry remains first, with 24.2 million watches shipped. Yet, if the current sales of Apple Watches remains constant, it could well sell more watches than the whole Swiss industry in 2018. 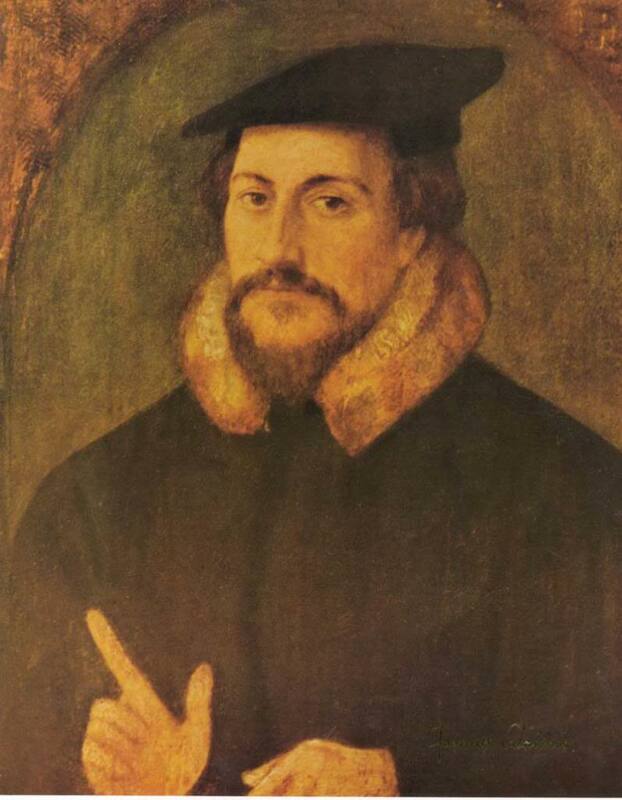 However, we have to keep in mind one important point. These estimates are based on watches that are shipped, which is of course different from how many watches have actually been sold to consumers. 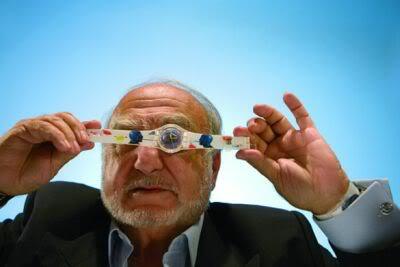 Without bringing again the debate about the Apple Watch and if it should be consider as part of the watchmaking industry or if it should remain viewed as an electronic device, situation is clear: Apple is big… bigger than every single Swiss powerhouse. This might be a dumb question (or maybe I’m missing something), but to claim that Apple is #1 in the world after surpassing the Swiss watch industry seems to leave out any Chinese or Japanese companies. Are Seiko, et al. production numbers that far behind Switzerland? Switzerland will survive—must evolve again.